We’re proud email geeks here at PWR. Most of us actually enjoy thinking and talking and arguing about things like A/B split tests and mobile preheaders. The medium is extraordinarily effective but a little finicky as well. To help you make the most out of your email campaigns, we wanted to share our top ten tips. Pay attention to the preview pane. Most people, especially in B-2-B context, will see your email with images blocked. So make sure they can see the most important elements, such as your call-to-action, even if images don’t render. Remember, above-the-fold in email is the upper, left quadrant so don’t fill it with one giant image that most people will never see. (Too many images trigger filter and firewalls anyway–use them, but use them wisely). Consider from and subject lines wisely. With mere seconds to make an impression, it’s important that your from line, subject line, and preview pane view–the elements most folks will glance at–work in tandem. Make sure those elements compliment each other and aren’t too redundant. The most essential must-do for from and subject lines is to be honest. From lines should simply be the name of the organization featured in the email and subject lines should be clear, authentic and, ideally, 7-8 words long. Make it mobile-friendly. Increasingly, emails are opened on mobile devices. This means that in addition to your subject line, you want to give your email a preheader, which is essentially a second subject line visible on mobile only. It should be approximately 70 words. But it’s also important to remember that the finger is the new mouse. Links and calls-to-action should be large enough to activate via touch and images and text also large enough to enjoy via mobile. Brand yourself! Emails can be beautiful but only if you take the time to craft them wisely. Email is a little finicky. Think of it as a puzzle piece. Different systems can put the pieces together differently so a designer who understands the medium is a must. You should, of course, follow your own brand guidelines and make sure your email looks like your organization (not some senders!) Remember, spam is in the eye of the beholder but nothing reads spam like ugly emails. (Oh and also, spammy words…try to avoid those too). A/B split test it. Every brand is unique and different send times, images, even small details such as whether your call-to-action button is square or rounded can affect how well your email performs. Test different times (most of our B-2-B clients see best result late morning, mid week but we have B-2-C clients that hit best marks on weekends) and other aspects of your campaign. Pay attention to your inbox metrics (open rates, click-throughs). Set benchmarks and try tweaking details to keep metrics high. Keep it consistent. 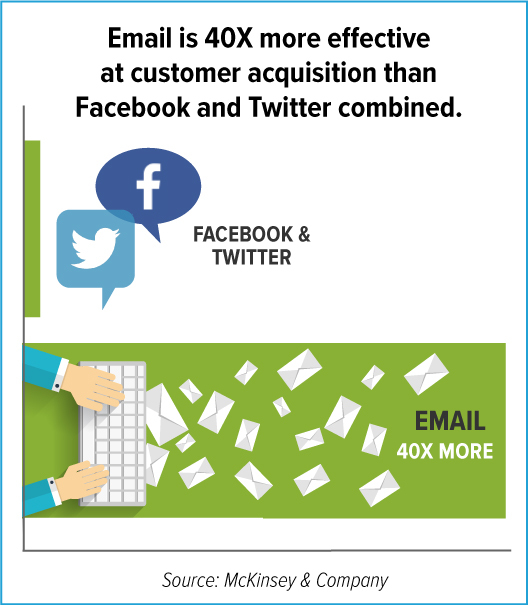 Email is, ultimately, all about growing relationships. Consistency is as important in email as it is in real life…and in branding generally. Make sure your campaigns have a rhythm. Don’t overcommit yourself to sending more emails than you can craft good content to support, but don’t ignore folks too long either. Experiment with different mediums but keep branding consistent. Target wisely. Relationships also require at least two people who want to be in the relationship. Email is no different. If they want to be left alone, leave them alone. (Can-spam is good manners…and the law). But do make it easy for people to add themselves to your list, to update information if they change addresses, and to forward to others that may be interested in your brilliant content. Personalize it! 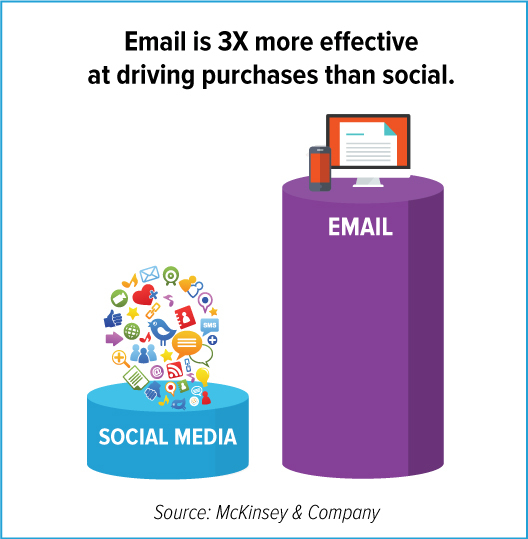 Email is a remarkably flexible medium and easily adaptable to personalization and segmentation. Try using different subject lines crafted specifically for different audiences, adding first names, updating images depending on recipient behavior, or shifting what appears above-the-fold to be more audience-centric. Test, test, test. Here at PWR we never send a single email without some extensive testing. We test both on rendering, to make sure it looks great across systems and devices, and functionality, to ensure all links work. We consider ourself legit email pros but the truth is, mistakes happen–our dedication to testing has saved us from some pretty gnarly problems. We make sure to have a few sets of eyes on each project during the testing phase also. (Redundancy can be your friend!). While this list is certainly not exhaustive (and believe me, we could exhaust with our thoughts on the medium we love most), we hope it helps you craft email campaigns that engage, deliver and grows relationships.